A work order is used to give all the details of a job after the business and client come to an agreement for the work being performed. They are printed in many formats, with lines, rows, columns, ink colors, the wording to accommodate the type of profession. 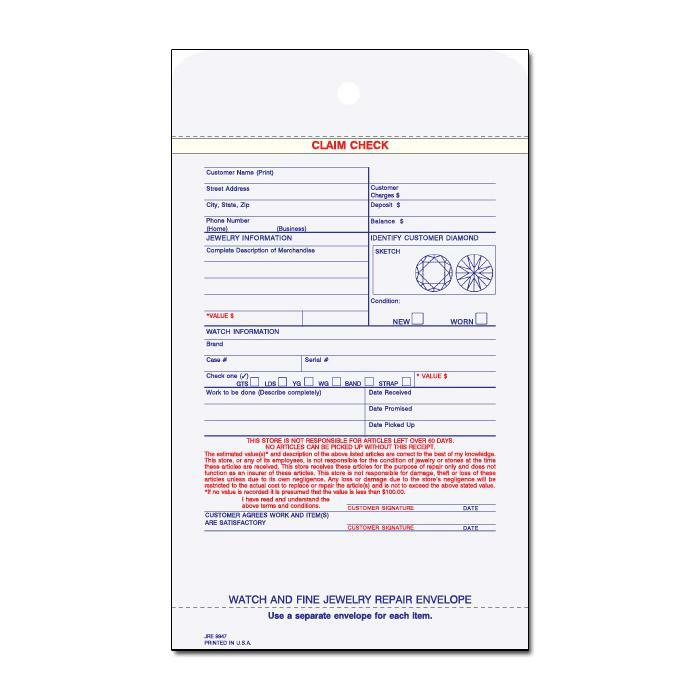 Here we have created many such work order forms and even if you don't see one that fits your needs, we can create a custom printed form with the specific details that you want. What are the different types of work orders? Work orders are generally classified in terms on their use. For example, a repair shop would use a repair work order, plumbing work order for the plumber, painting work order for the painter, Technician Service work Order for the Technician and so on. 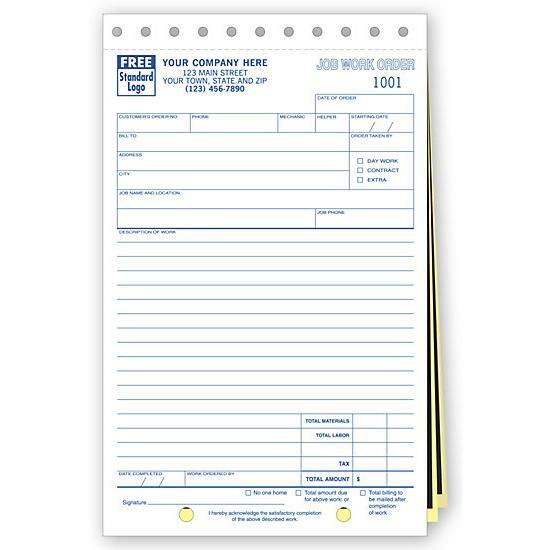 There some like the job work forms that are made generic to accommodate more than one profession. This is because there are so many different types of jobs that can be performed. 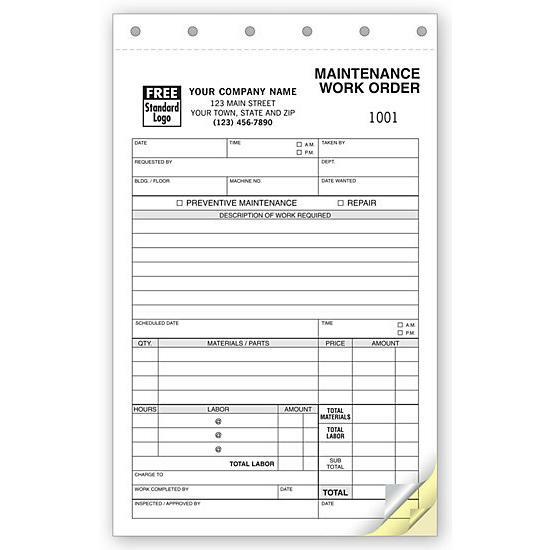 Some of the most popular ones are for repair orders, Service Orders, or just Work Orders. They are used for maintenance, construction, contractors, automotive, electrical etc. No matter what the service we can create a work order for you. Repair Order: The are used when professional repair cars, equipment, electronics, mobile devices, trucks, tires, or maintenance to homes. Service Orders: These are used in the service of heavy equipment like forklifts, tractors, HVAC systems, heating & cooling, marine & watercraft, pool, etc. 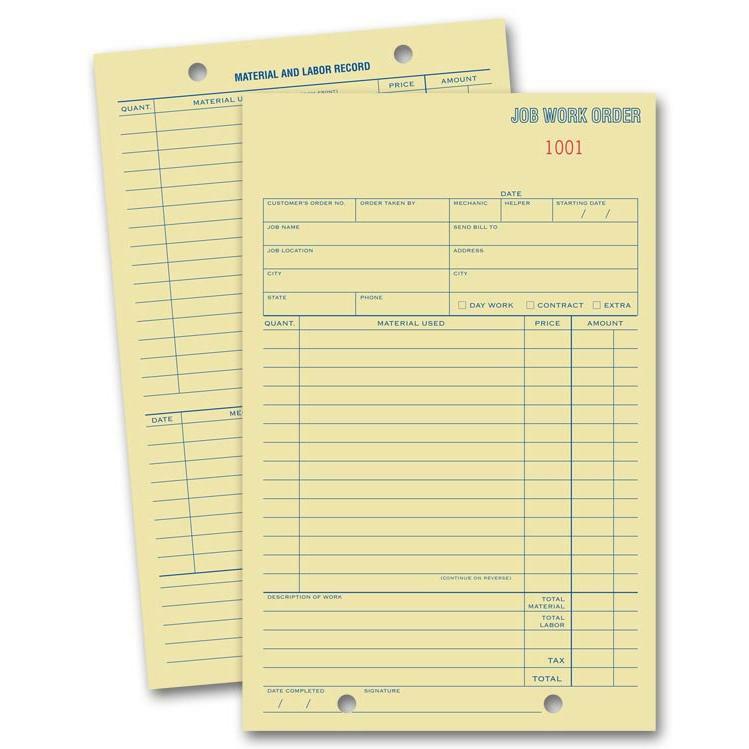 Work Orders: These are used in professional like plumbing, electrical, landscaping, cleaning, security installation etc. 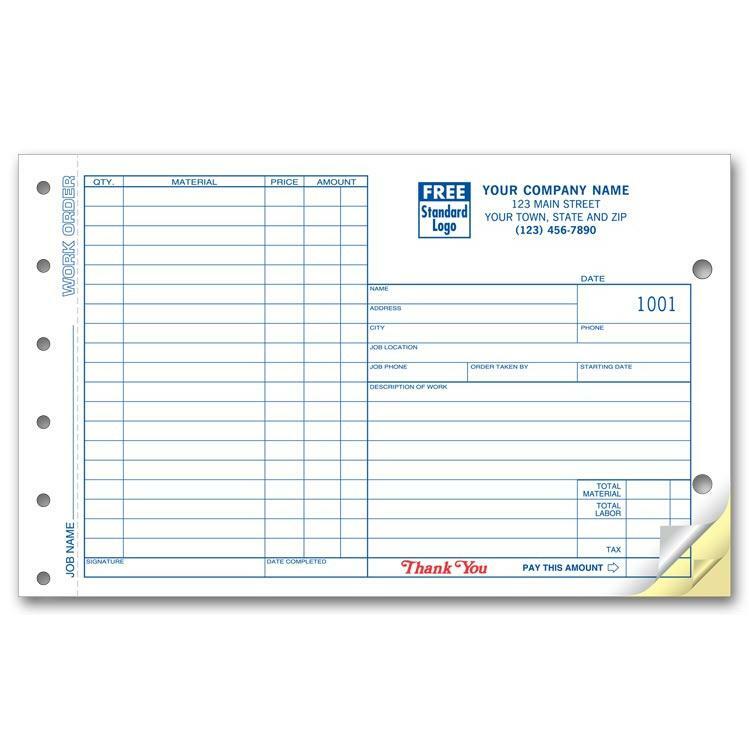 They can be made for manual use in a booklet format, as a snap set sheet glued at the top, or even as a computer form to be printed on your laser printer or continuous feed printer (sometimes referred to as dot matrix). 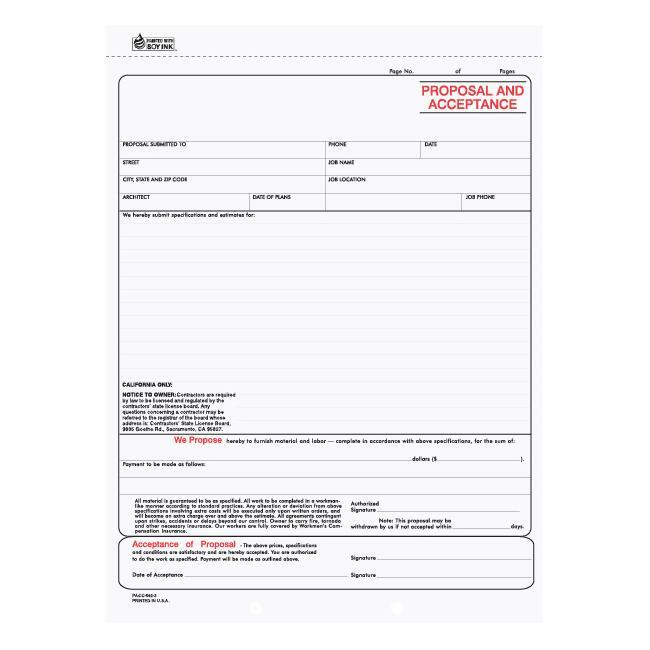 The first thing to note is that you can personalize these forms by adding your logo and business information. 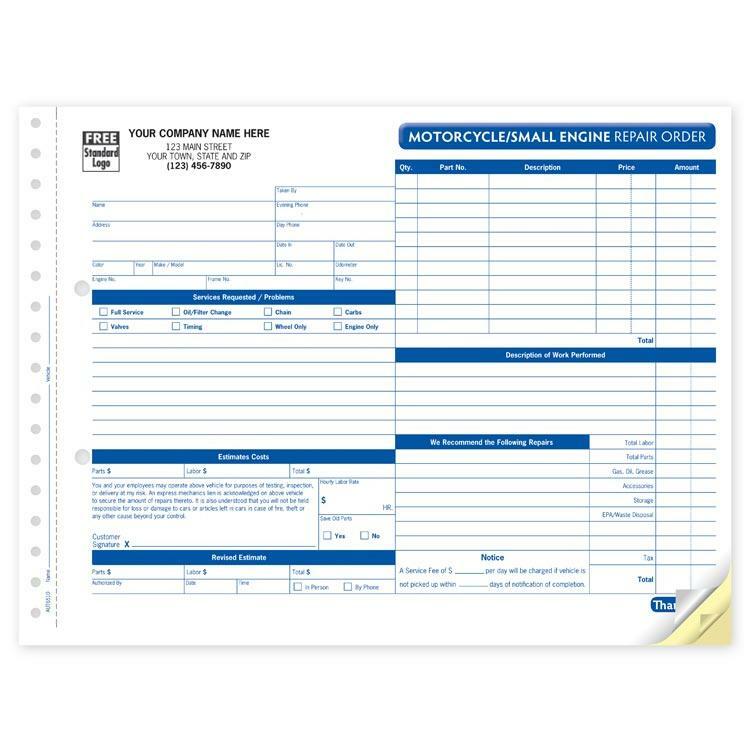 You can also have a totally customized form that is unique to your business or one that is blank to give you more flexibility. Whichever template you choose, there are certain things that are imprinted on most of them to make the process of completing them simple or easy. 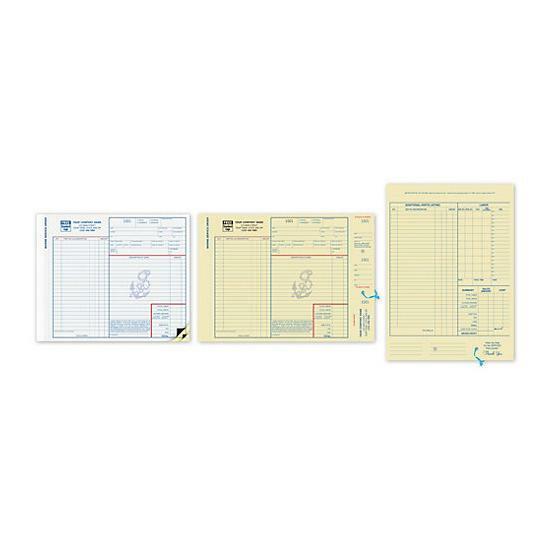 These include sections like description, material, price, amount, dates, labor, hours, signature etc. There can also be a section for terms and conditions. This is sometimes printed on the back of the form. 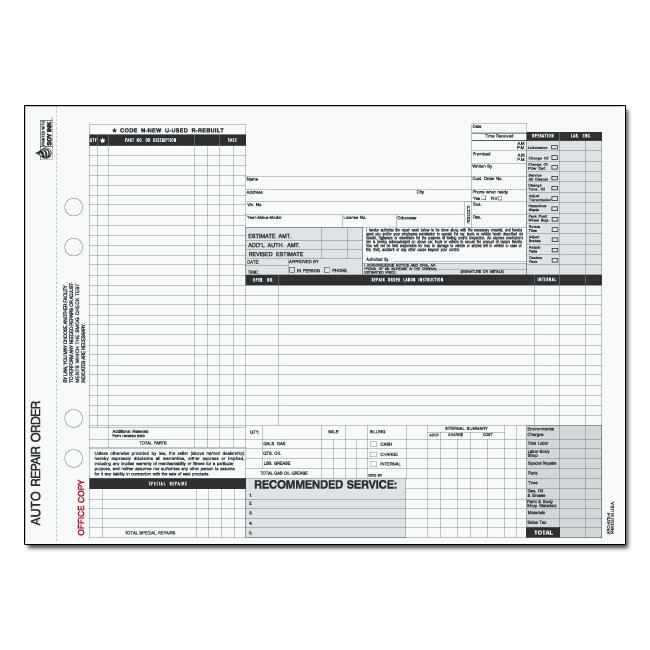 Work order forms professionally designed and printed for all professions. 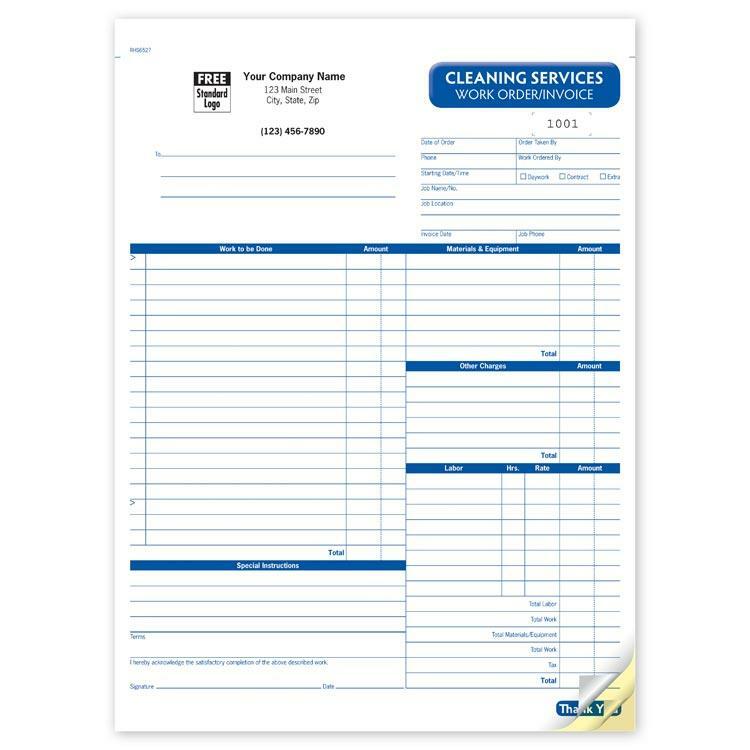 Our templates are pre-printed on carbon/carbonless paper and can be customized with your company information. Pre-printed specifically for service provided by repair shops & professionals. 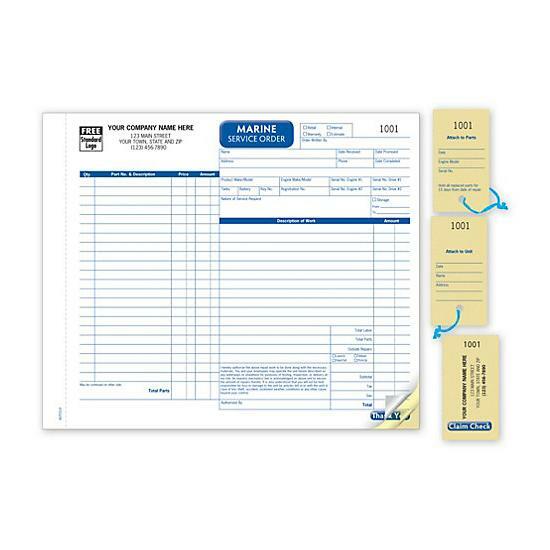 Personalize work orders are imprinted with your logo and business information. 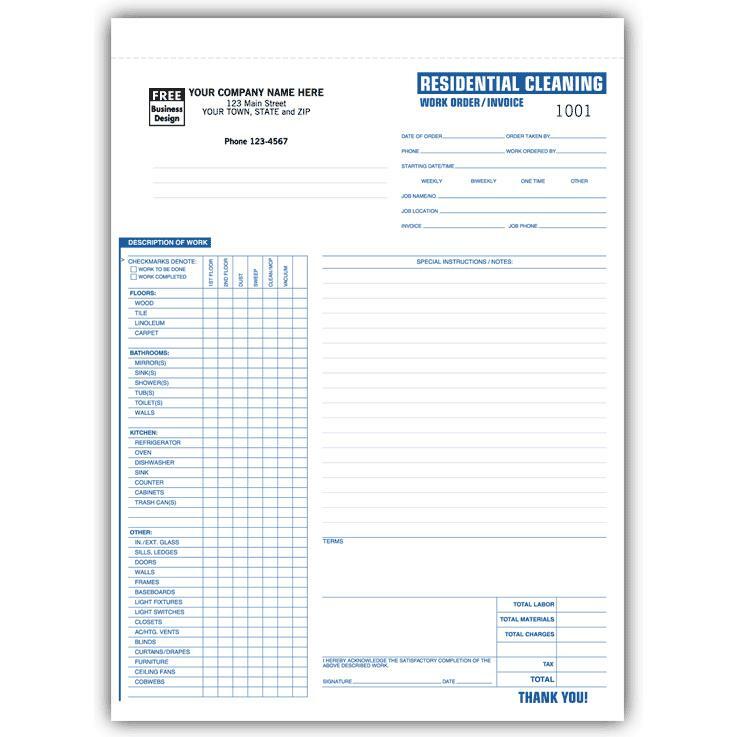 We offer a variety of carbonless form templates specifically designed for professionals in different industries. It's easy to order online by selecting the quantity, size, number of parts, numbering, ink colors, perforations etc. 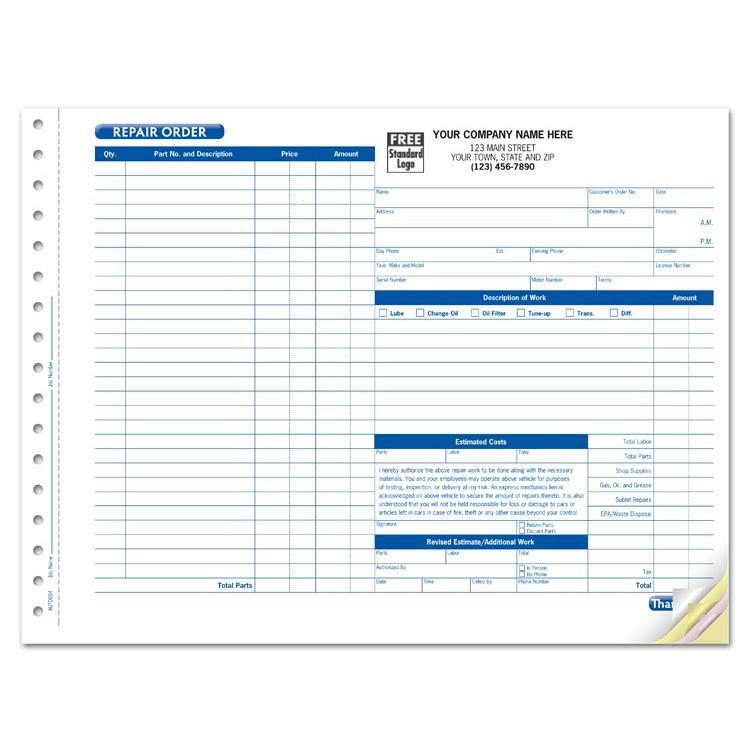 You can also include your company information to imprint on the form or request a price quote for your own unique design. Present yourself or business in a professional manner in every job by offering works orders that are designed and printed to enhance your brand name. We will email a file for your approval before printing. Work orders can be constructed individually and glued at the edge, as snap sets, in book or booklet format, continuous feed etc. 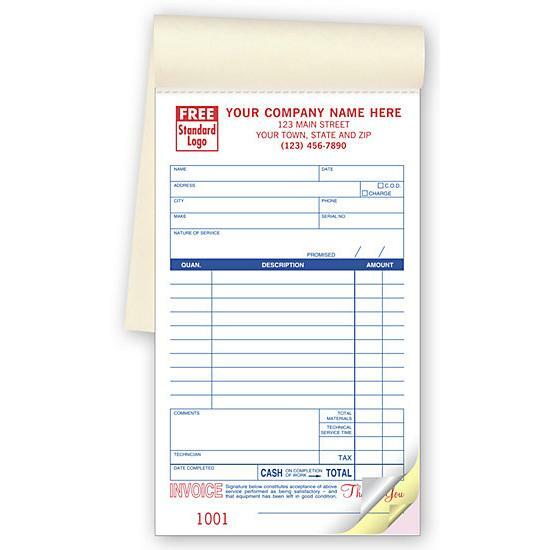 There are many other options for customization like printing on the back, multi-color, bleeds, hole punching, with tag, register forms and more. Order online or request a price quote. Call 1800-492-1218 for additional information.